Are you Social Media Marketing expert? I have created a crossword puzzle # 01 for you. How many Digital Platforms do you know? Hope you will Like it and share it. 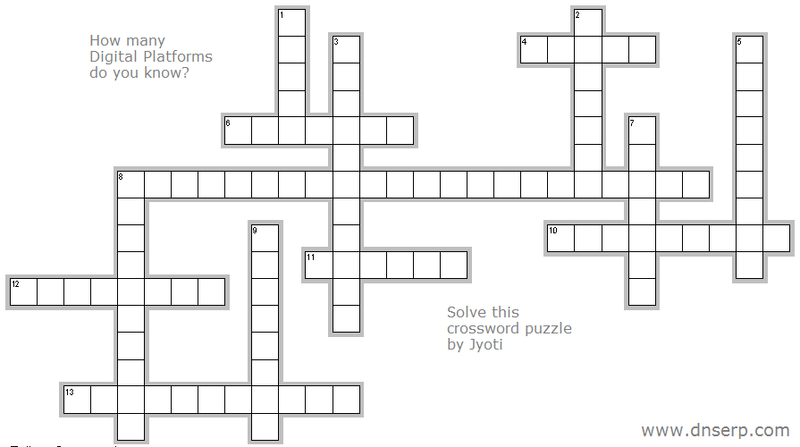 Crossword puzzle is common seen and played in newspaper but this time you can now play them online and you can also find some crossword puzzle application on some social media sites especially in Facebook. Thank you, James for your comment. Here is the Solution to Crossword Puzzle # 01.